I've been writing to the Psalms for several years now. To be honest, doing this series has lost some of its original excitement. The main reason, I think, is because it's hard to say something that doesn't feel like something I've said before. I blame this problem on the Psalms themselves. They just start to become so repetitive after awhile. God is good, faithful, and trustworthy... The world is confusing with people who do evil seemingly being blessed... Our troubles have piled up too high, and the supposedly good, faithful, and trustworthy God seems buried underneath it all... But I will praise the Lord anyway with all my heart and soul. Psalms become predictable. The lines get repeated and the poetry doesn't end up feeling all that original. How do I put my own spin on a psalm that's saying the same thing ten other psalms have said? Maybe I don't have to. Maybe that's not the point. Psalms seem less concerned with originality and more concerned with the connection between it all. Our human experiences often have more commonalities than we think. We are not alone in our doubts or praises of a mysterious God. The Psalmists take the time to put thoughts to paper, joining the chorus that has been sung through the ages with the unique verses of their own perspective. Each psalm is unique, but few are all that original. I wonder how it could free us if we stopped putting the expectation on ourselves to always be the best or the only. We are uniquely us, and yet we are part of a collective of people that are a lot like us. Our experiences of God are our own, and yet they echo with the truth, love, and questions that have existed since the beginning of all things. I don't think Psalm 112 says much that is new. And I think that's what makes me like it. 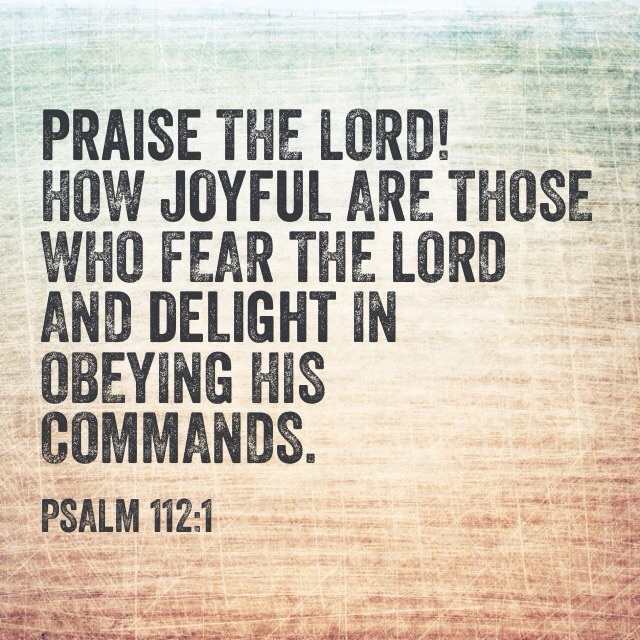 This post on Psalm 112 is part of my Psalms Journey series. I have been a bit sporadic with that series, but I am not giving up. #PsalmsJourney is a series reflecting on the Psalms one at a time, in order. Learn more about it on my Psalms Journey page. If you'd like to join me, put a link to your own post in the comments.